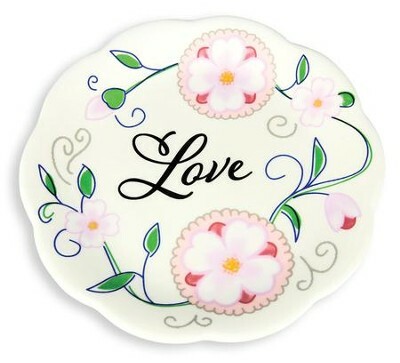 Shaped trinket dish is trimmed in lighthearted floral motif and the word Love at the center. Scalloped circle dish. Ceramic dish is 5.75" diameter. I'm the author/artist and I want to review Love Trinket Dish.